We Heart Family and Friends has joined up with a special group of bloggers to share this giveaway with all of you. As the nip in the air starts to become prevalent, I love this time of year when I can burn seasonal candles and have a continuous, warm aromatic environment in my home. I am always seeking different and unique smelling candles to delight the senses of those that enter my home and my newest find is Seawicks Candle Company. Started about 6 years above by a husband and wife who longed to have the scent of the coast all year round, Seawicks Candle Company was created. Seawicks Candles are hand poured in small batches using 100% Soy Wax from American grown Soy beans. Our wax is 100% Vegetable, made with Pure Soybean oil Guaranteed. Our unique fragrances are delicately blended to ensure freshness and evoke memories of times shared with family & friends and beautifully packaged. For more information on our candle line and the products we use to make them click on the Product Info Tab in the Menu bar. Thank you for your support! 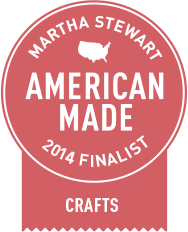 Right now, Seawicks Candle Company is a finalist in the Martha Stewart “American Made” Products contest and needs YOUR VOTE to help them win! Click here to go to Seawicks’ contest page. Martha Stewart American Made will then send you a confirmation email. (Make sure you check your “junk” mail.) Just click on the confirmation email and you’ll be registered. Go “back” to the Seawicks profile page at Martha Stewart American Made and click on the “vote” button below the picture and company description on the right. You can vote six times in a row, every day through October 13! 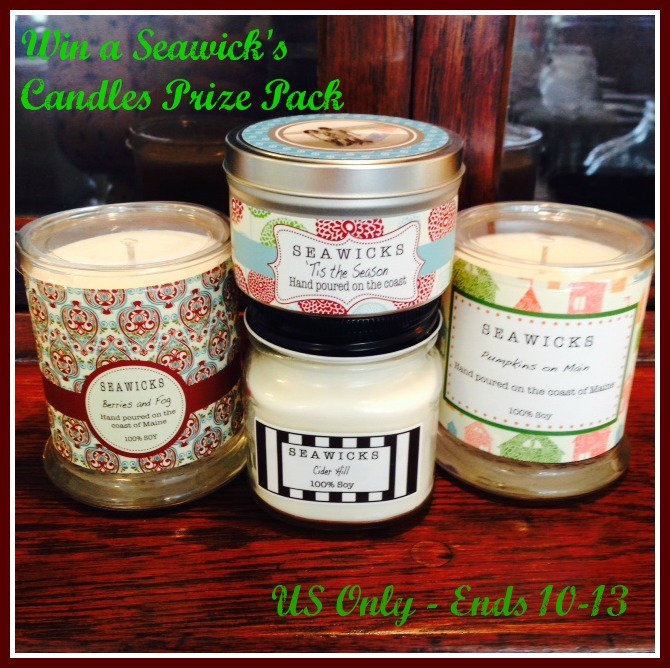 One lucky readers will receive a Seawicks Candle Prize Pack Valued at $77.00! Giveaway ends Oct 13 2014 at 11:59 pm ET! Open to US residents 18+ and older. Be sure to VOTE DAILY for Seawicks Candle Company and come back here to complete the daily entries to win this giveaway! The participating bloggers were not compensated for this post. We are not associated with any of the companies named above. No purchase is necessary to enter. Void where prohibited by law. The odds of winning are based on the number of entries received Open to US Residents, 18+ only. Confirmed Winner(s) (by Random.org) will be contacted by email. Winner(s) have 24 hours to respond before a new winner is chosen. No purchase necessary. Void where prohibited by law. The sponsor(s) will be responsible for product shipment to winner(s) of this giveaway. My blog is not responsible for product shipment/delivery or fulfillment. This event is in no way administered, sponsored, or endorsed by, or associated with, Facebook and/or Twitter, Google, Pinterest. This disclosure is done in accordance with the Federal Trade Commission 10 CFR, Part 255 Guides Concerning the Use of Endorsements. Entrants must only enter with either one email address, IP address and/or Facebook account, anyone found violating these rules will be disqualified. It is at the sole discretion of the admin of the giveaway if the winner has met the rules or not. We Heart Family and Friends is not responsible for prize shipment. I would love to try these candles! I have a passion for things made in America. I can tell already these would have an aroma that would be very relaxing by the bath.